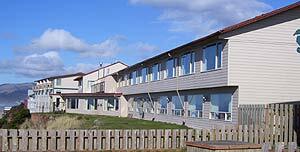 (Lincoln City, Oregon) – Sometimes, it’s the Lincoln City lodgings, hotels, motels, inns and B&B’s that really shine here. From tiny charmers to grand, upscale hotels, to vacation rentals for a myriad of tastes and desires, Lincoln City is actually quite the hub of overnight options. In fact, the town boasts some 400 places to stay – more than most spots on the west coast. Check back here frequently for deals, specials, lodging updates. You'll also find some exclusive lodging listings for the area not found on other sites. Mention BeachConnection.net when inquiring. A1 Beach Rentals Fun Fact: one home was once a WW2 lookout. Inn At Spanish Head. Lodging in Lincoln City. It is one of Lincoln City’s most recognizable landmarks, and for good reason. It is actually the only resort hotel built right on the beach - with all oceanfront rooms, nestled against a rugged cliff overlooking a soft, sandy beach. 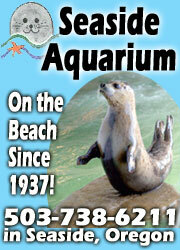 Mention BeachConnection.net when inquiring. Oregon Beach Vacations Fun Fact: one home was used in the making of the 1970 movie Sometimes a Great Notion, which starred Paul Newman. Whistling Winds Motel. - Lincoln City Motel. This sweet bit of Americana is a restored 1930's Motor Coach Motel that sits nestled in a quiet and pristine residential neighborhood of Lincoln City. There’s a hefty dose of historic charm as well as a sense of modern, slightly woodsy chic here. 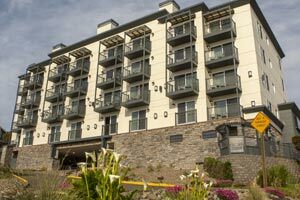 These unforgettably romantic fifteen units are located just a half block from one of Lincoln City’s most secretive low beach accesses, making you feel like you’ve stumbled upon something exclusive. It’s only six blocks to the casino and on a shuttle route. Whistling Winds works well on a variety of levels: perfect for the private getaway, spending an intimate weekend with that someone special or bringing the whole family. Even a well-behaved dog can get in on the fun (in select rooms with extra charge, 20 lbs or less). Enjoy the sound of the ocean waves in our fireplace suite, while vaulted ceilings, warm rich wood and walls, the hand built river rock fireplace and a fully equipped kitchen complete the tingling effect at this beautifully restored cottage. 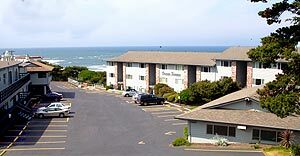 Moonbreaker Vacation Rental, Lincoln City. 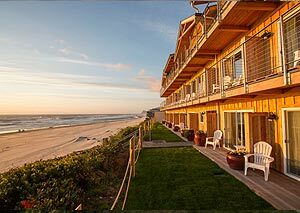 Essentially on the beach at Lincoln City's peaceful yet dramatic Roads End area, Moonbreaker is a romantic Cape Cod-style home of two-storied splendor and its own private stairs to the sand. Large windows and decks allow full immersion in spectacular sunsets and maybe even whales. It begins with a slated entryway opening to marble floors, featuring high ceilings and luxurious, comfortable furnishings. Sleeps four people. There's a big screen TV, four-post bed, jetted tub for two, a master bedroom and second roomy queen bedroom. Full baths. Completely furnished with linens and towels, as well as a starter kit of paper products. Other amenities: living gas fireplace, ironing board, washer / dryer, wi-fi, linens, coffee maker, cookware, dishwasher, full kitchen, microwave, refrigerator, stove. 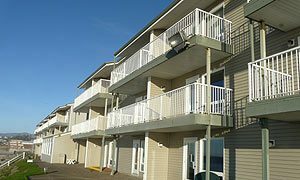 Entertainment systems include cable TV, CD player, DVD player – plus very close to casino and the golf course. At northern end of Lincoln City, Oregon. See website here. Call (503) 232-5984. Seascape Vacation Rental Condo, Lincoln City. An oceanfront condo on the first floor, you have an outstanding view of the ocean, which you can also enjoy from your own private tub. It's also a decent vantage point for whale watching. Seascape perfectly accommodates couples or families, sleeping up to four people. 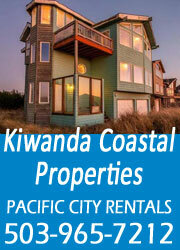 Two bedrooms with king beds, where you can hear the sounds of the surf at night. There's a full equipped kitchen with a wide range of stainless steel appliances, and a massive selection of entertainment amenities that include games, books, a DVD library, and plasma TV's in a few rooms. 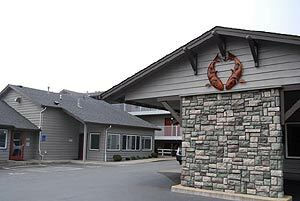 It also comes with free wi-fi, and access to the exercise room, heated pool and a game room at the Pacific Winds in Lincoln City. There's also an onsite conference room for business needs. Other amenities: cookware, utensils, full kitchen, ice maker, toaster, river rock fireplace, hair dryer, ceiling fans. Lincoln City, Oregon, near the NW 15th St. ramp and access. (800) 708-5880. Seascape Website here. Shoreline Chateau Vacation Home, Lincoln City. In the sheltered and cloistered Road's End area, this sprawling vintage home from the '30s jumps out at you. 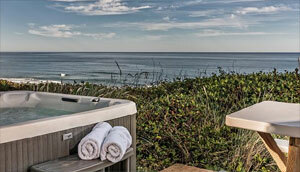 There's a hot tub overlooking the ocean, and your own private walkway (literally just a few steps) down to the beach. Incredible views of sunsets and maybe even whales. 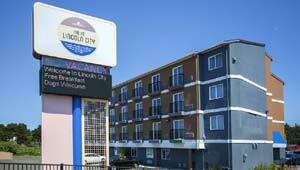 A short distance to the casino and north Lincoln City's numerous features, restaurants and attractions. Sleeps as many as ten people; parking for three mid-size cars. 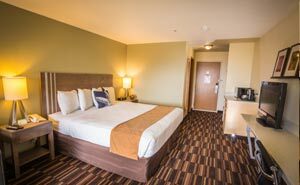 Amenities: Cozy fireplace, fully equipped kitchen and kitchenette, flat screen TV's, movies, games, music, books, Wi-Fi, luxury linens, down blankets. Sprawling deck and a private yard. Bonus living room with flat screen TV and DVD. There's free long-distance calling, washer and dryer, cookware, blender, coffee maker, more than one fridge, microwave, toaster and so much more. Huge, full-length windows allow better viewing of the Pacific Ocean. On Logan Road, Lincoln City, Oregon. (503) 232-5984. Shoreline Chateau Vacation Home website here. 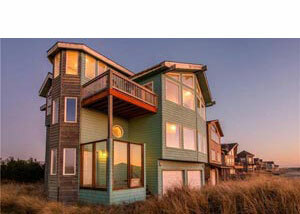 Starry Night – Vacation Rental in Lincoln City. An elegant oceanfront home that is spacious and filled with high quality furnishings and the finest amenities. All of this a close walk to the Road’s End State Recreation Site and its numerous beach accesses. There’s a main living area with open floor plan, augmented by a gourmet kitchen with a dining area that seats 11. Four beautifully decorated bedroom suites include a master with jetted tub. Four full baths and a half bath. There’s an oceanfront hot tub. Other amenities: TV’s, WiFi, HDTV, DVD player and a gas fireplace; game room, pool table, air hockey, ping pong and foosball. Kick back on the large oceanfront deck that comes complete with chairs, picnic table and charcoal BBQ grill. Garage takes two cars. Laundry room with washer/dryer. At the northern edge of Lincoln City, Oregon. See the Starry Night website. Call (503) 232-5984. What Lincoln City Vacation Rental Home Used to be Submarine Lookout During World War II? Find out here. 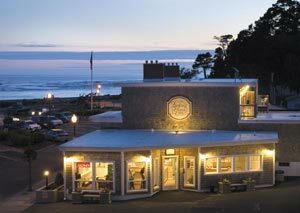 You can stay at this fabulous bit of Oregon coast history and revel in the vibes of those who helped save the world. It's oceanfront, has a hot tub - and it's sprawling and gorgeous. Click on web specials link. Special packages where you can get gift baskets, roses, wine. From April 1 - June 30: Buy Three Nights, Get Fourth Free. Inquire about last minute specials and deals. Sandlake Country Inn. Relaxation and romance are the keys at this cozy B&B secret, hidden along the Three Capes Scenic Loop, one mile from ocean. 1st certified green B&B on coast. Like a small luxury hotel, with sumptuous amenities such as double Jacuzzi spa tubs, fireplaces, bubble baths, soaps, lotions and robes, along w/ large selection of movies, wi-fi. Private deck and a four-course breakfast delivered to your door. 8505 Galloway Rd. Cloverdale, Oregon.. (Less than 40 minutes from Lincoln City) www.sandlakecountryinn.com. 877-726-3525. 503-965-6745. An Ocean Paradise Whales Rendezvous, Depoe Bay. 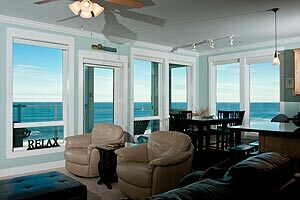 Two oceanfront suites for a romantic getaway: Vacation Rental package or a Bed and Breakfast Package, you get to choose. Private deck, private outdoor entrance. Large outdoor deck / garden area, wood fire pit, Adirondack chairs. Suites come with elegant antiques, gas fireplace, fridge, microwave, toaster, coffee maker, WiFi, cozy robes, satellite TV, DVD, and binoculars to watch the whales. 147 N. Highway 101. Depoe Bay (10 mins from Lincoln City, Oregon). 541-765-3455. Website here. Various Newport Vacation Rentals. Huge variety of homes, condos and townhouses around Newport, including oceanfront, some pet friendly and some in coveted Nye Beach. Large homes to medium-sized homes; many are luxury properties with a huge array of amenities. Some oceanfront decks. You may find: granite counters, fine quality cabinetry, stainless steel appliances, game rooms, wood burning or gas fireplace, sliding glass door to the deck, and many more surprises. Around Newport, Oregon. Website here. (800)723-2383.